Our pre-written scripts provide you with a beautiful and memorable elopement ceremony. Please feel free to substitute your own vows (of similar length) for our standard ones at no extra charge if you prefer. Unless otherwise specified, your package includes the use of one of our pre-written ceremonies (with or without the addition of your own vows). If you want to add ceremony elements (such as a unity candle or sand ceremony) or if you would like to mix and match wording among two or more ceremonies, then let us know and we’ll quote you a slightly higher fee. We offer the elopement ceremony in five versions. 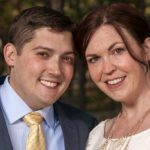 Listen to each of them below.The elopement ceremony script(s) will be provided to you by your officiant after you book our services. The wording of these ceremonies is the copyrighted property of Blue Sky Elopements. They cannot be legally used by any other officiants. (In other words, if you ask a non-﻿Blue Sky﻿ officiant to perform one of the ceremonies below, you’ll be putting them in the very uncomfortable position of violating copyright laws). Please respect the proprietary nature of these ceremonies. We sell one-time usage rights for a nominal fee. Please contact us. Ready to get started? Get in touch with us today! 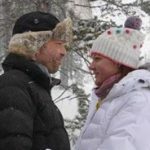 Imagine me, from Miami, Florida, searching for a wedding officiant to drive my wedding ceremony in a snowy mountain at Keystone Ski Resort, Colorado. Well, (Blue Sky) was the only company from the ones I contacted who was able to fulfill my request. 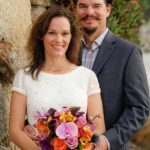 I needed an adventurous and professional wedding officiant, and they got it! Heather was there on time and she even helped me “ski down the aisle”. She was extremely helpful and answered all my questions about Colorado State marriage license procedures. I cannot be happier about the services I received. Thank you very much for being part of our great ski wedding day! Blue Sky Elopements did a great job in helping us find a place, take care of documents and permits and put everything together. We were glad we went with you! Amazing! We could not have had a better day. This was a last minute ceremony we wanted to do and they were quick to respond to our questions and book everything for us. It was so much less stressful than it would have been had we done it on our own. 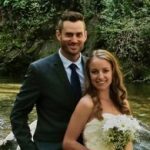 Just wanted to send a quick thank you for putting together such a great elopement package. Our officiant and photographer made our day absolutely perfect. Both were very inviting and were open to any ideas that we had. Our photographer provided us with pictures that are straight out of a fairy tale that we will cherish forever. Thank you, again. Wonderful experience. 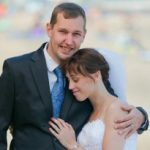 The services made our wedding stress-free! Loved the flowers! Our photos are incredible!! Thank you so much for everything, We had an absolutely fantastic time! You were such a pleasure to work with and you made our experience stress free and comfortable. Again, the photos are absolutely stunning. We’re on a mission to make getting married joy-filled and fun. By providing you with topnotch wedding professionals who handle all the details of your small wedding, we allow you to relax and enjoy your day. 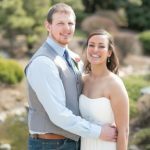 Copyright © 2018 Blue Sky Elopements. All Rights Reserved.